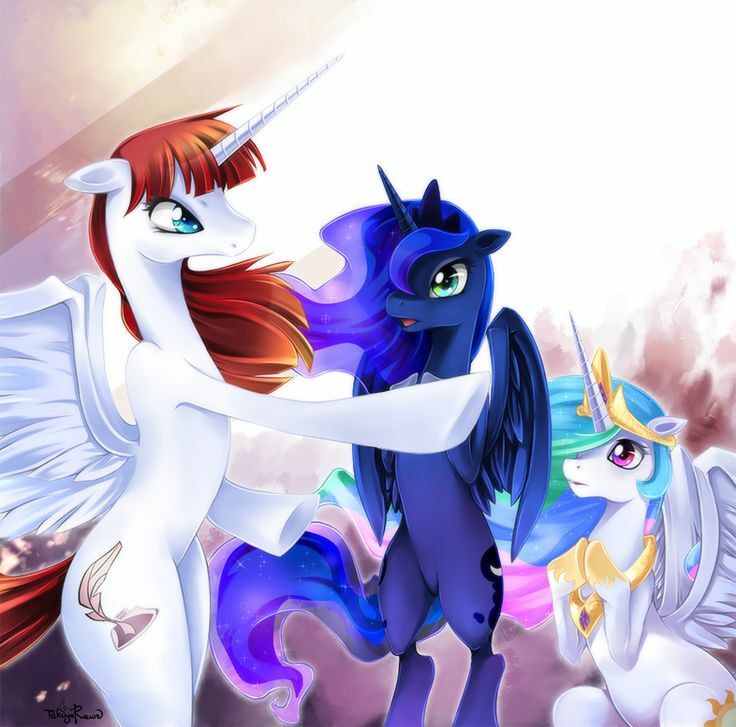 The older of two Royal Sisters, the co-ruler of Equestria, Twilight Sparkle’s faithful mentor. 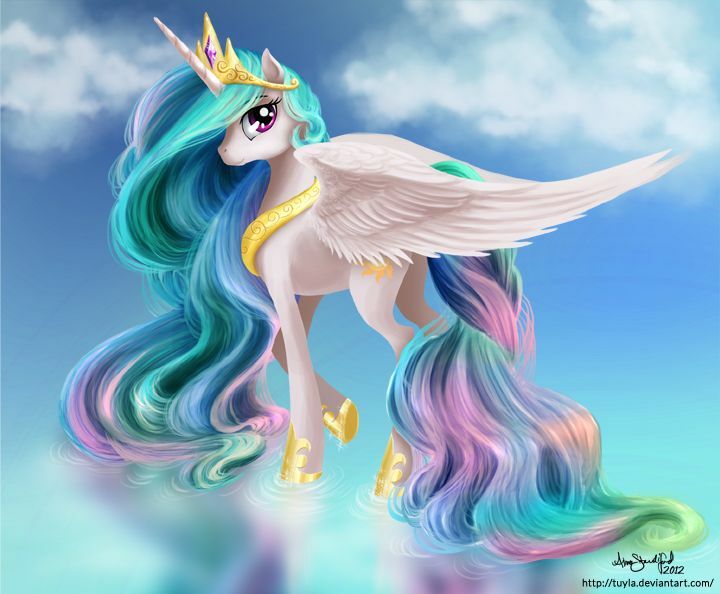 Princess Celestia raises the Sun every day when the night comes to an end. For some time she had to raise the Moon too, after the hard deed of banishing her own sister to the Moon when she became Nightmare Moon. But those hard times have passed. 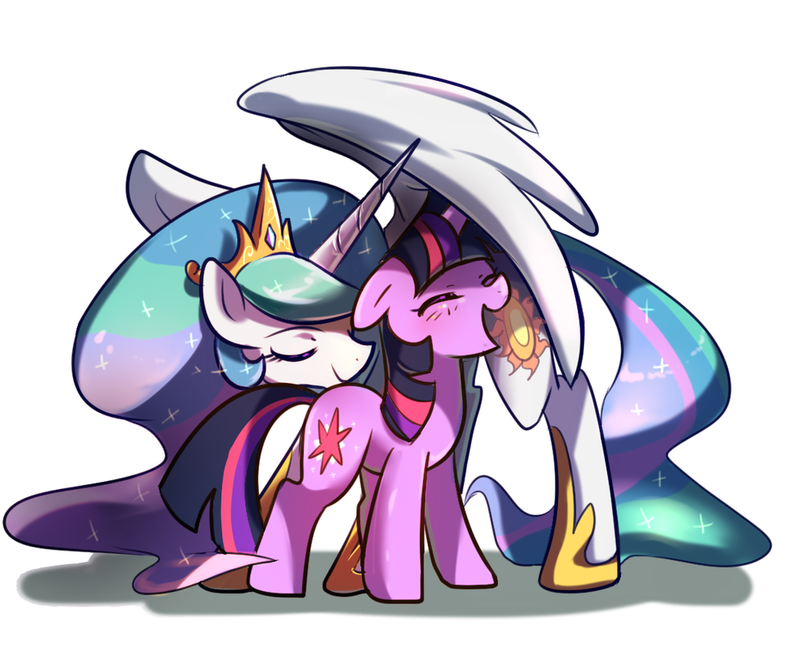 Her sister has returned, and her student has become new princess, making Celestia the proudest teacher. Let us be happy for our fair ruler, and give Her Highness some of our love. Our Sun Princess could always use some positive Pinkie-energy! 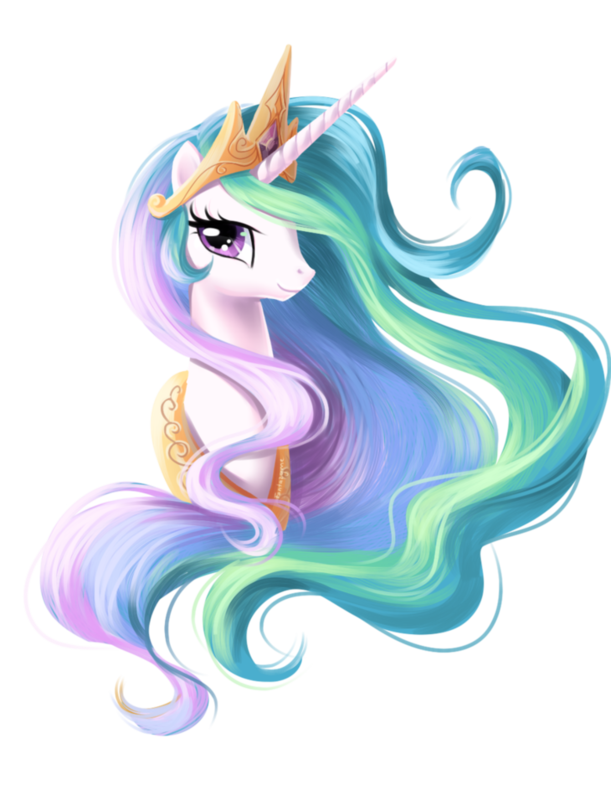 Celestia always had that tremendous weight to carry, aside from ruling the Equestria: bainshing her only sister to the Moon, failing Sunset Shimmer as a mentor, losing Sombra from the other world. At such moments you can't help but think: "Poor Tia." 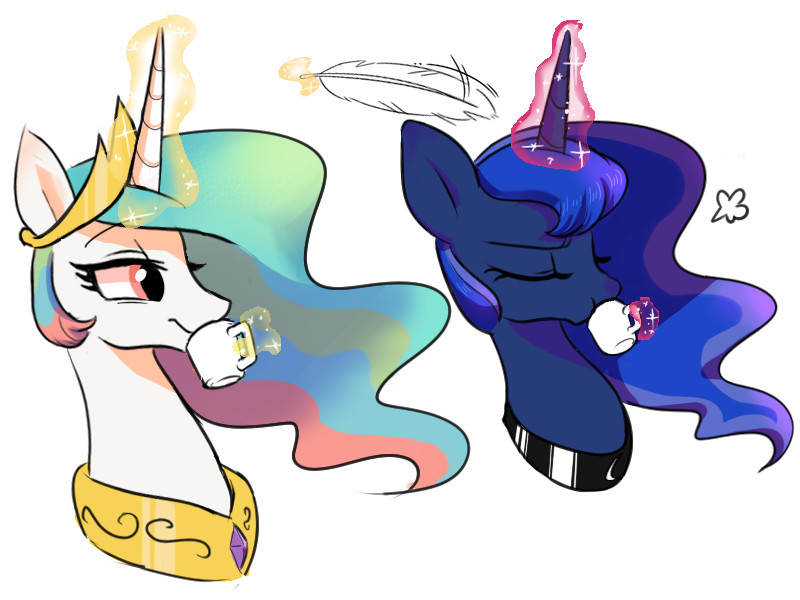 There are two things I'd like for future MLP Seasons. 1. 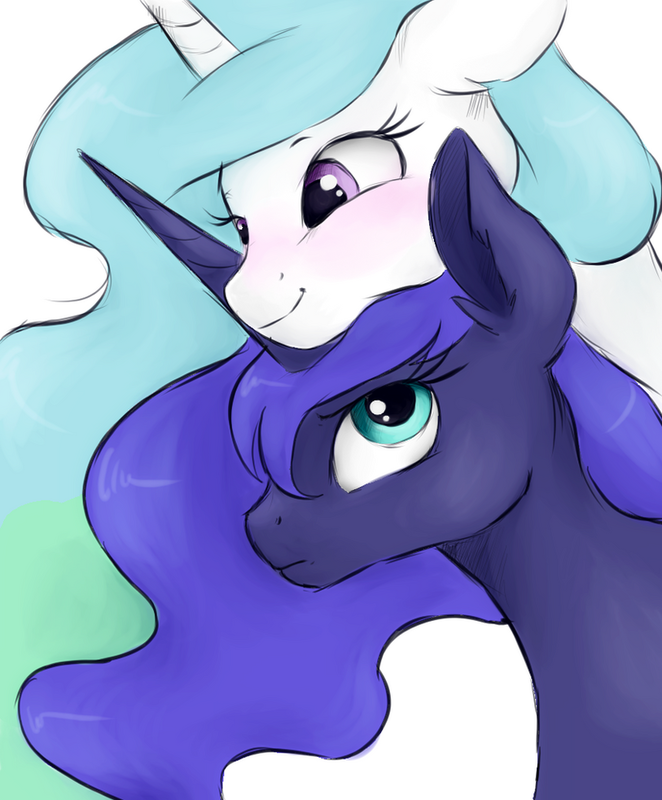 A Princess Celestia and Luna episode. 2. 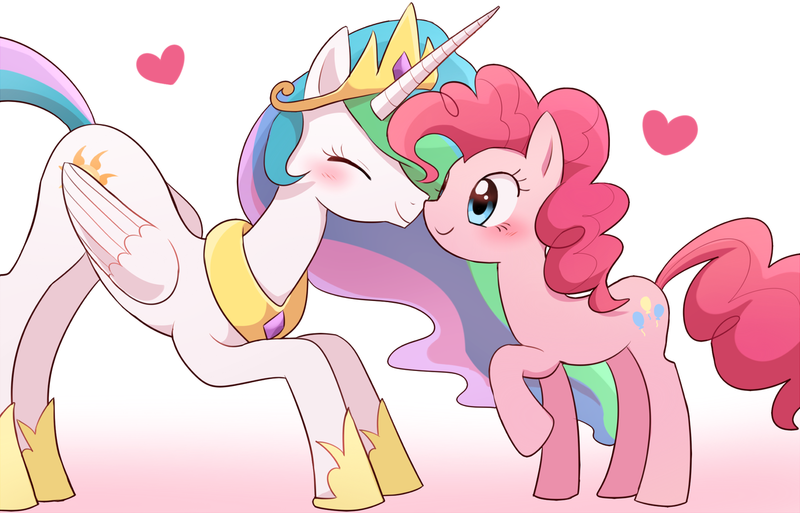 A Princess Celestia & Twilight Sparkle episode. 2. I think we have seen enough of that already throughout the series so far. 1. YES, PLEASE! Those few seconds in "Slice of Life" were the JUICE! 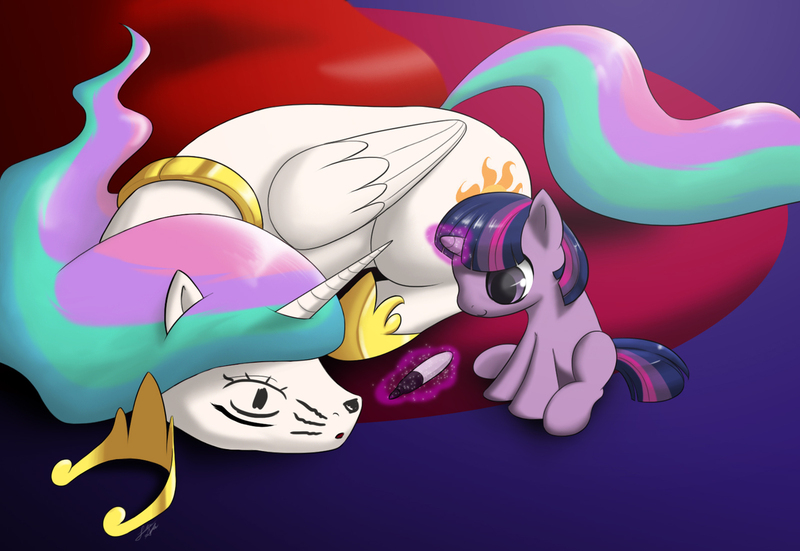 I'd like to see a Celestia & Luna episode, where it shows what they do during their "days". Or an episode about what their fillyhoods were like. I just got that fillyhood idea just now. You REALLY want a Princess Celestia & Starlight Glimmer themed episode, huh? 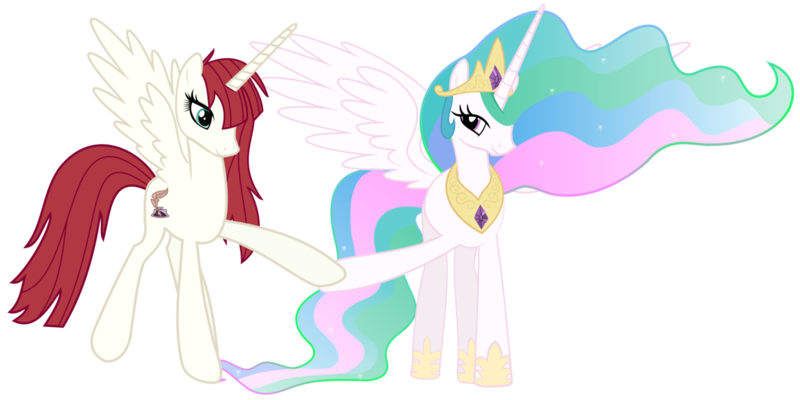 Yeah...I don't think Lauren Faust would be willing to lend her voice to that particular OC so, that idea wouldn't work. @Sparklefan1234 Um, why not? 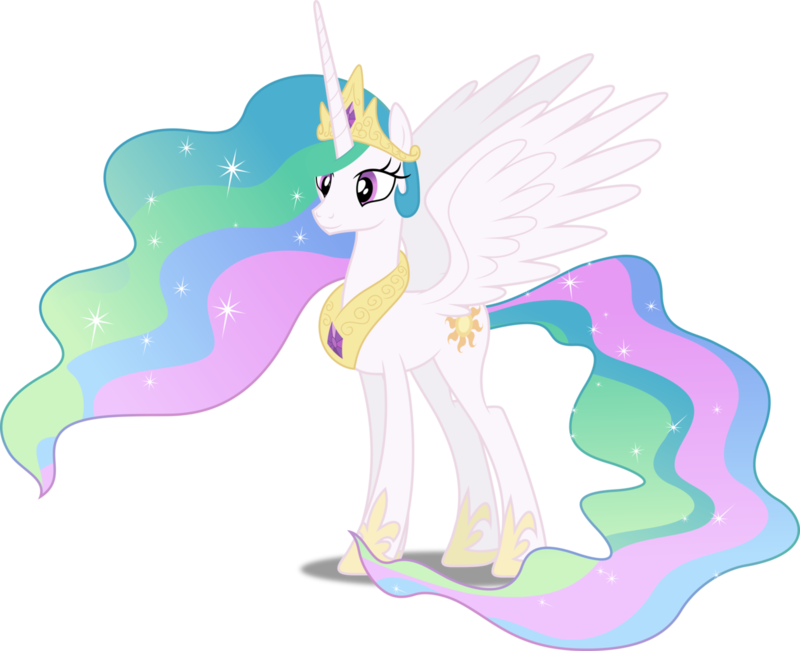 Eitherway, it is never bad to consider her what she is: the All-Mother that created Equestria the way we know it. As someone who got to see Nicole Oliver and Kelly Sheridan in the same VA panel: Definitely! By the by, does somepony care to explain the whole cake deal? Tia is getting laughed a lot for one reason or another, and I want to know why. she might not want to revisit it. That is SO COOL, you are one lucky pony! 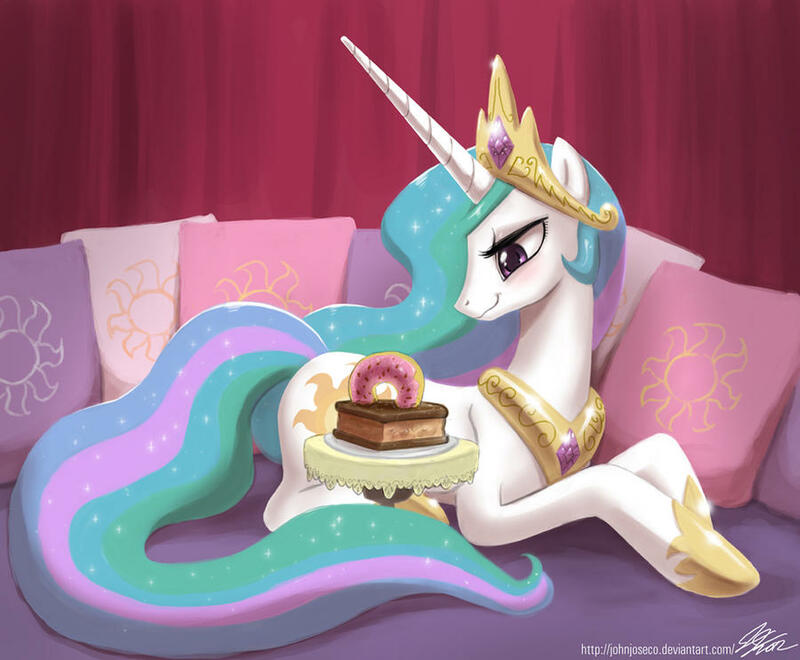 @Sparklefan1234 Still that's no reason to deny what she has done for us. 1. I don't know where the cake meme came from. 2. 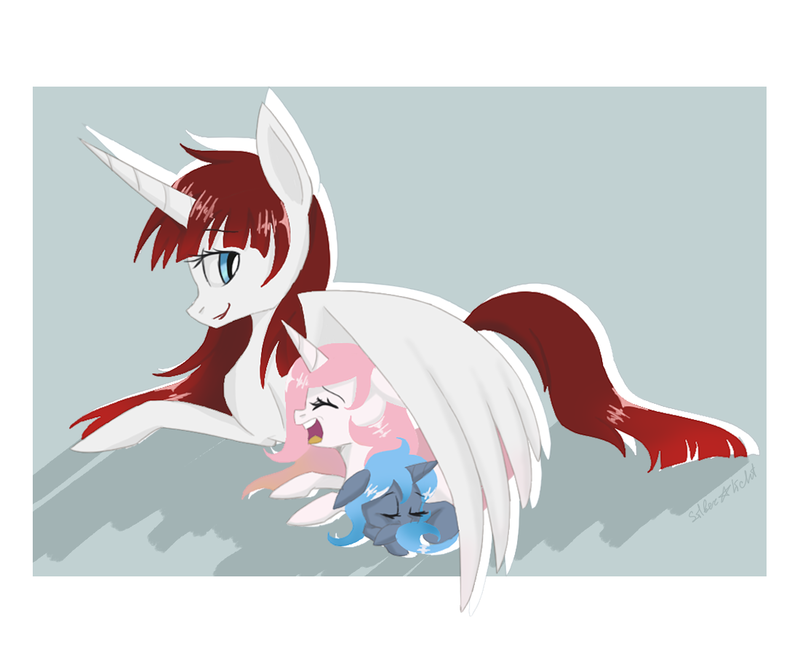 I'm not denying anything, Lauren Faust did an amazing ok job establishing FiM's universe & characters, IMO. @Sparklefan1234 I don't think we should esteem how good she did. After all, where would all this be if it wasn't for her? I tweaked to fit the scene. "A princesse's time as ruler rises and falls like the sun. 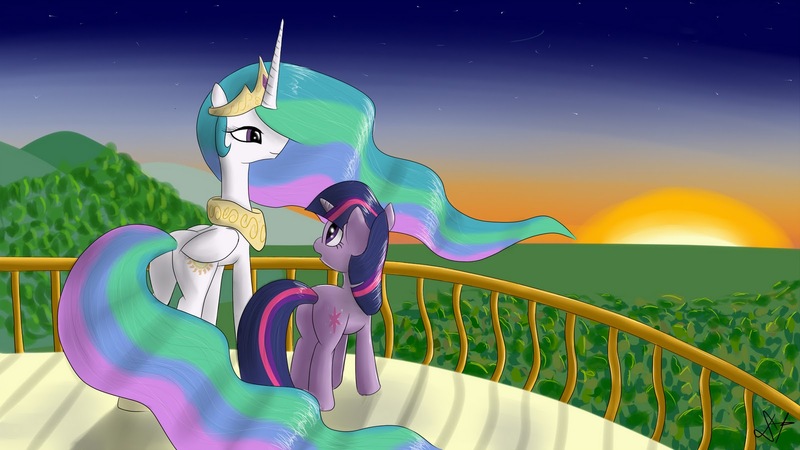 One day, Twilight, the sun will set on my time here, and will rise with you as the new princess." Except for that time Twilight Sparkle almost accidentally started a war with the Yaks.